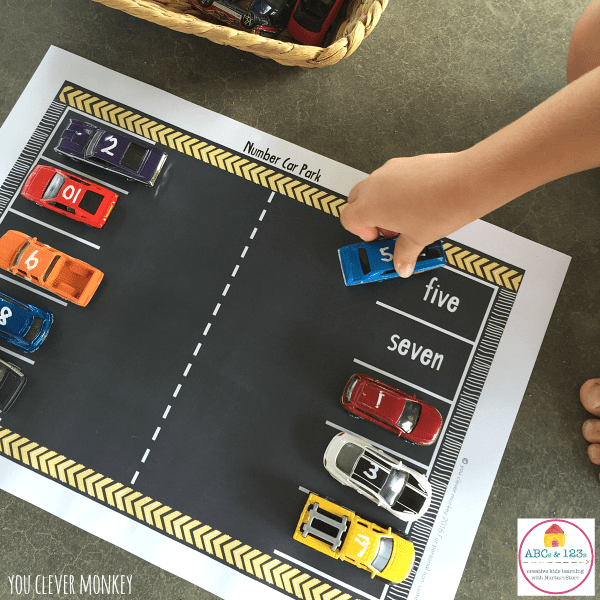 Nichole from You Clever Monkey brings a wonderful freebie to our ABCs and 123s series today – printable number car park mats. Read on to print and play! Play is always the best way to engage young children in their learning. As an Early Years teacher I’m always for looking at ways to use the interests of my students to provide hands on learning opportunities for them during play. 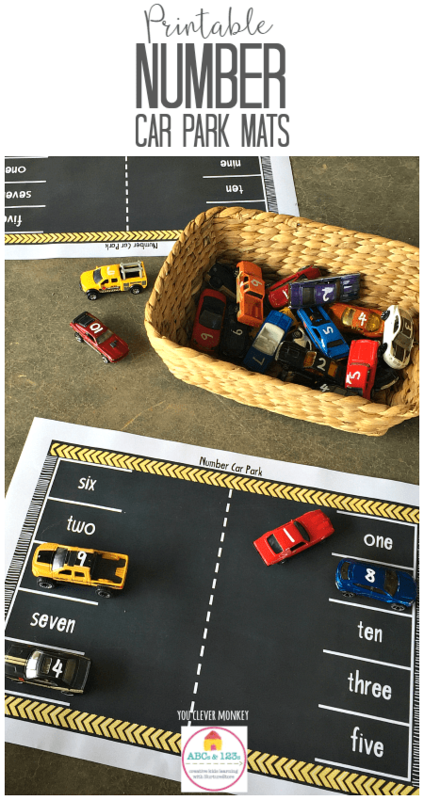 My kids love their cars and so I’ve created some number car parking mats to help reinforce their growing understanding of numerals and number words. Our alphabet car park mats have been a popular addition to our literacy centres. 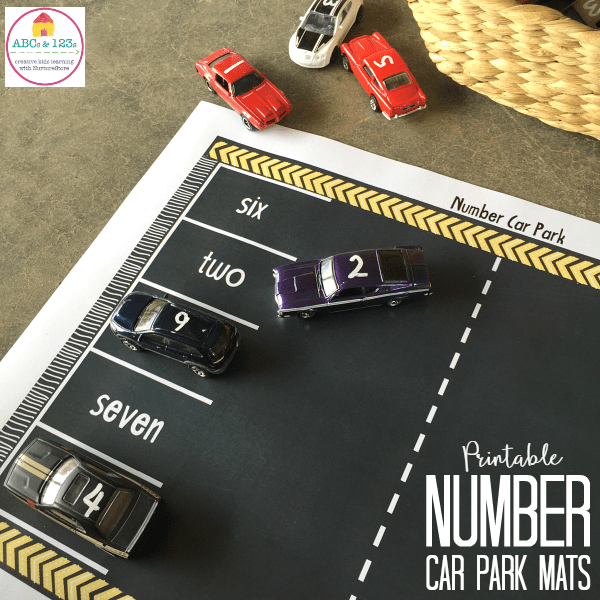 These number play mats invite young children to match the numerals on the car to the number words in the car park. Want some for your children? All the hard work is already done. Simply download our number car park mats and print them out. I printed mine to A3 size and laminated them for repeated use. Add some cars (affiliate link). I used a washable chalk marker (affiliate link) to write the numbers on our cars. The play mats focus on the numbers from 1-10, but I’ve also created a mat with decades from 0-90 for children at the next stage in their learning. Then invite your children to play! These play mats can be used at home or in a classroom. Want to see more from us? Join our email list! Nichole is an Australian Early Childhood teacher and mum of three. Her blog you clever monkey is full of playful ideas for use in the classroom and at home. You can find more of her printables here and you’ll love her Instagram feed. Can you make one with numbers (1,2,..) instead of written numbers? It would be better for small children (mins 2 years) and non english speaking. Hi Malene. This is a guest article from Nichole at You Clever Monkey. If you click on her bio link through to her site you’ll see she has lots of other printables, and you could ask her about the one you’d like.